Cooper | Haven Fire & Safety L.L.C. 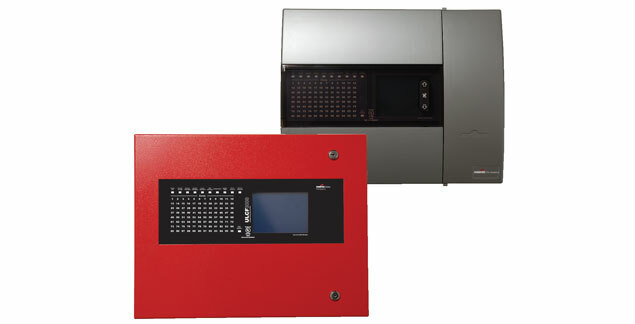 Cooper Fire Systems of the United Kingdom manufacture the high specification CF3000 analogue fire detection and alarm system including a comprehensive range of analogue addressable detectors and ancillary devices. This offers a complete system solution where the panel and devices complement each other to give the best system performance and high integrity. The CF3000 incorporates a large versatile touch screen and has the ability to support multi language text and highly complex ringing pattern. The panel supports three separate stages of programming per sounder and each stage can be triggered differently. The sound type and volume of each loop addressable sounder can be programmed by the control panel. All addressable devices on the loop are auto addressed using the latest high specification Cooper soft addressing protocol and include an integral short circuit isolator. To simplify installation and to minimise search distances all detectors incorporate a status led that has 360 degrees viewing angle enabling to be seen irrespective of the detector orientation. For ease of maintenance, the detectors can be easily cleaned on site by the removing the optical chamber. The Cooper Group of Companies are a major worldwide Corporation covering a wide Manufacturing base. Haven Fire and Safety reference projects utilising stand alone and networked Cooper systems include hotels, shopping malls, residential and high rise applications.